Vomitface Announce Debut Full-Length Hooray For Me “ith "Senior Pic”ures"
A grunge trio from Jersey City is making savage music in Toronto. Help Yourself Records will drop the LP August 26. Toronto-via-Jersey City trio Vomitface started making loud music during devastating Hurricane Sandy, and since then have put out two savage EPs. Today the band is announcing that they're following up those 5-track records with a debut album, the Steve Albini-produced Hooray For Me, out August 26 on Help Yourself Records. Hooray For Me's lead single is "Senior Pictures." The track finds lead singer and guitarist Jared Micah clamoring, I like the way you comb your hair/ I like the subtle way you roll your eyes with dry affection over spazzy guitar spurts and drummer Preetma Singh's solid grunge beats. 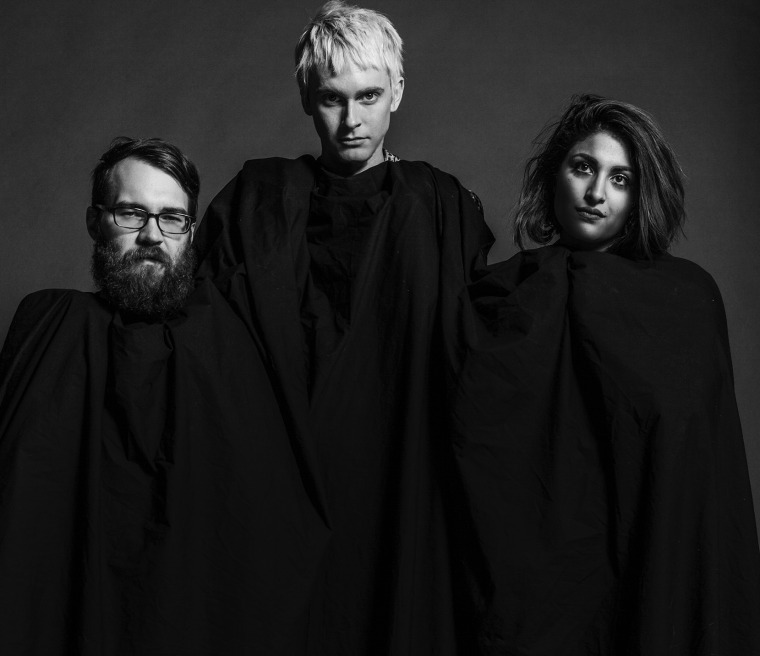 "We started Vomitface to make music that didn't require a concordance to understand," the band told The FADER in an email. "We wanted it to be visceral enough that someone would be able to get the feelings and ideas just by listening to the music. Our intention songwriting-wise was to make a rhythmically unique song because so much indie rock today might as well have a metronome in place of the drums. We wanted people to feel it and dance in unchristian ways." Hey, Vomitface, I like the way you roll your eyes, too. Listen to "Senior Pictures" below, and preorder Hooray For Me here.